With these mask templates YOU become the artist! Blending photos in unique ways has never been easier - just add your photos to the templates, play with your blending modes and VOILA! 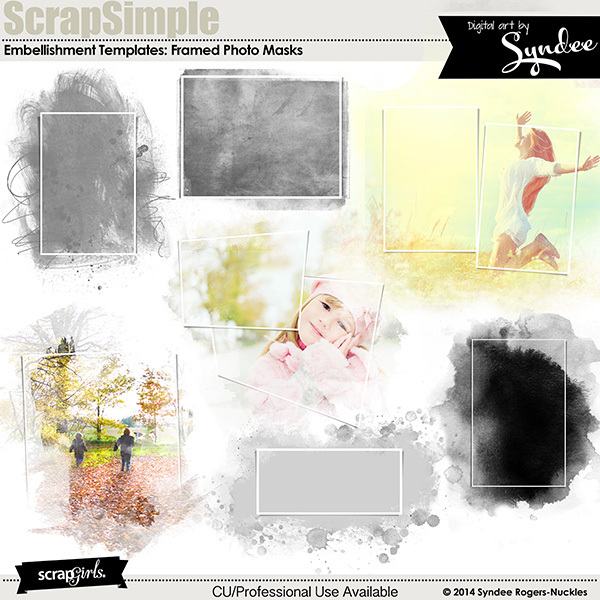 You have created a piece of art for scrapbook pages, art journal pages, or whatever project you want to add an artistic flair. 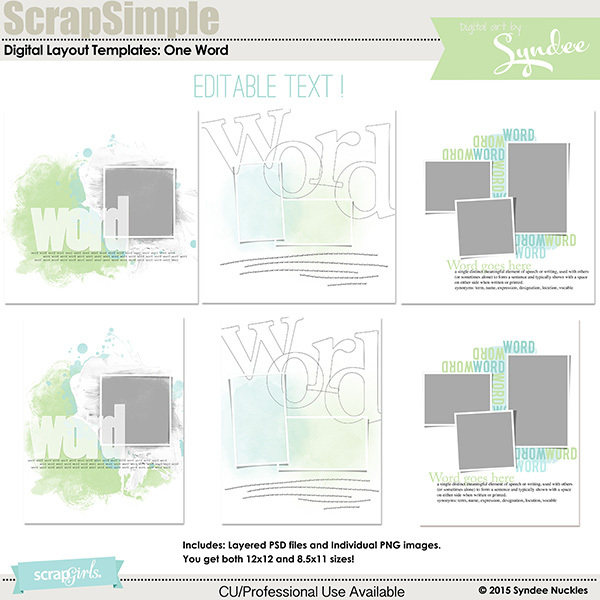 Layered PSD and individual PNGs are included. 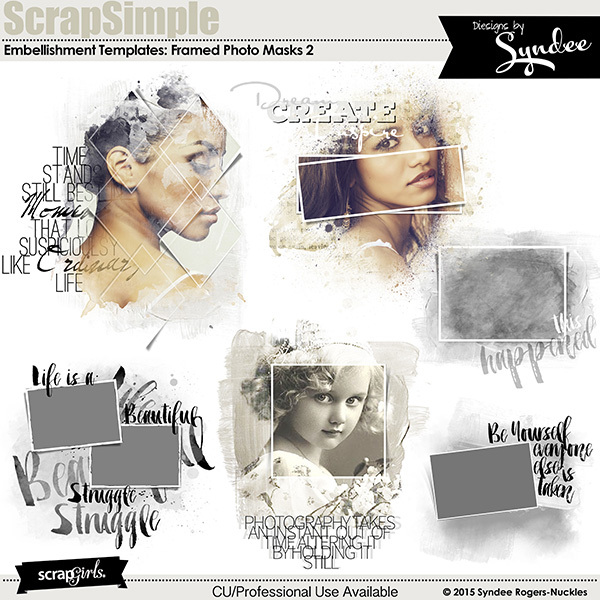 Create unique blended layouts easily with this painted set of photo mask templates! 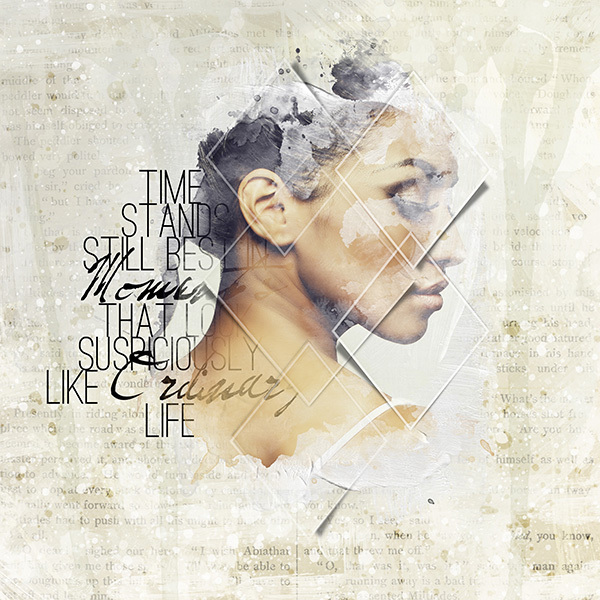 Create your own background papers, embellishments and more with these watercolor brushes! Yummy blueberry and lemon inspired hand-painted watercolor backgrounds perfect for wall art, card making, digital scrapbooking and more! Add these hand-painted watercolor accents to layouts, cards, stationery, wedding invites, wall art and more! Document your word of the year with these artsy layout templates. Templates feature editable text and some have painted masks.